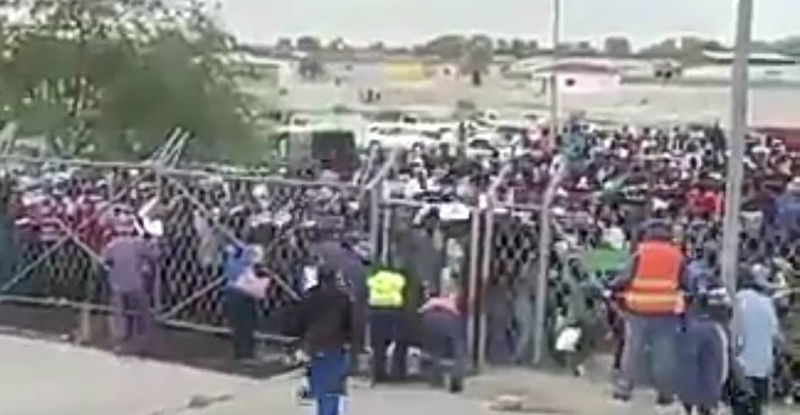 The harsh reality of unemployment, poverty and the sluggish state of the Namibian economy was brutally exposed at Ondangwa when more than 3 000 applicants stormed the premises of Nehale lyaMpingana Railway Station of Transnamib to compete for only 40 temporary jobs. Transnamib wanted to recruit 40 general workers to do maintenance work on the railway line for a period of only six months. The requirements were that a prospective employee must be in possession of a Grade 10 certificate and be physically fit to do manual labour. More than 3 000 prospective employees turned up this morning and turned the Nehale lyaMpingana Railway Station at Ondangwa into a chaotic scene. 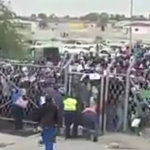 One of those trying their luck at getting employment, Jesaja Nambudunga, said that a fairly big number of people was already waiting at the station’s perimeter fence when he arrived there at around 02:00 and by sunrise the number had swelled to more than 3 000 souls. TransNamib officials started collecting CV’s and other personal documents at around 08:00 after which they started calling candidates for a physical fitness test which includes carrying heavy loads over a distance. “TransNamib officials were still busy with conducting the physical fitness tests and it seems the recruitment process will take longer than expected,” said Nambudunga this afternoon. Meanwhile, the sole opposition PDM councillor for the Ondangwa local authority, John Whiteman Martin, issued a statement condemning the “unacceptable” and “unprofessional” way in which TransNamib handled the situation. “The way TransNamib management or staff handled the recruitment process” he said, “is unacceptable and an insult to the Namibian child who is looking for a job opportunity with one of the Government parastatals,” he said.